The documentary certification of the resort dates back to 153 AD, when it seems to have been in full bloom, which means it was founded before that date. And there are several hypotheses of specialists who argue that Emperor Trajan himself would be the founder of this resort, the coins with his face discovered in the range of the resort leading to this supposition. 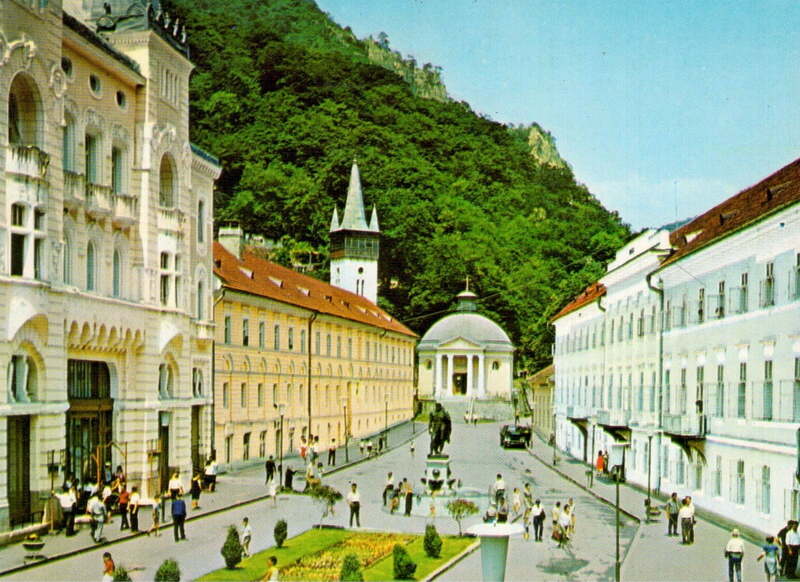 The modern history of the resort begins after 1718 (the Passarovitz Peace) within the Austrian Empire. 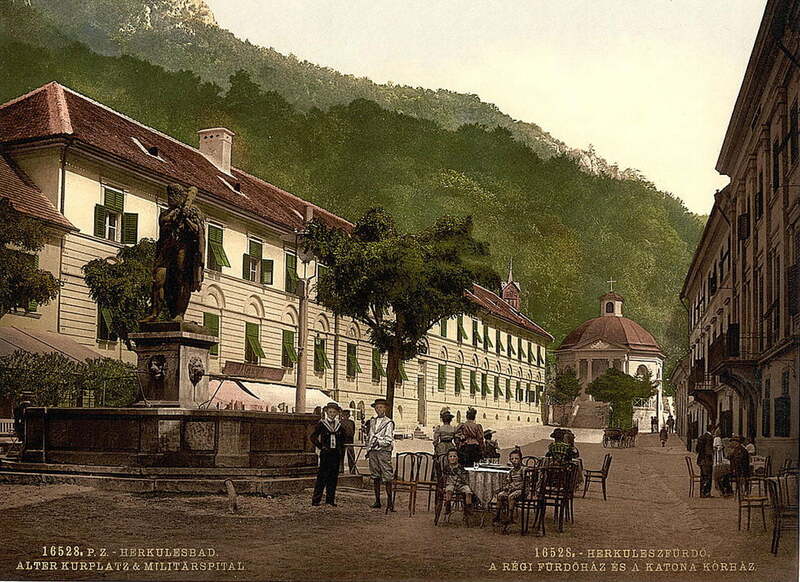 From 1736 the reconstruction and modernization of the baths, the access roads, the border guards of Banat started building here the majority of the edifices in the resort, which bear the Austrian Baroque style. General Andreeas Hamilton, governor of Banat on behalf of Emperor Charles VI, rebuilds the baths and mentions the existence of Hercules’ terms. At the same time, the first casino in Eastern Europe was built in Baile Herculane. Baroque “Casino Ensemble” takes you to the tumultuous life of the Romanians of those times. It was considered a symbol of ethnic twinning and ethnic co-existence, because on its roof are the statues of a Romanian, a German, a Serbian, and a Hungarian. At present Baile Herculane has a total of 15 thermal and mineral springs used exclusively for the treatment of patients, most of them with rheumatic or nerve problems. The springs are also of several kinds: hot, sulfur-containing, sodium, chloride, magnesium, calcium or trace elements, and their action is doubled by the negative ionized air and the atmosphere around the locality. Surrounding, Herculane resort is surrounded by extraordinary places, special natural beauties worth visiting, such as Şoim Gorge, Domogled Gorges, Pecinisca, Feregăi Valley or Domogled Peak. 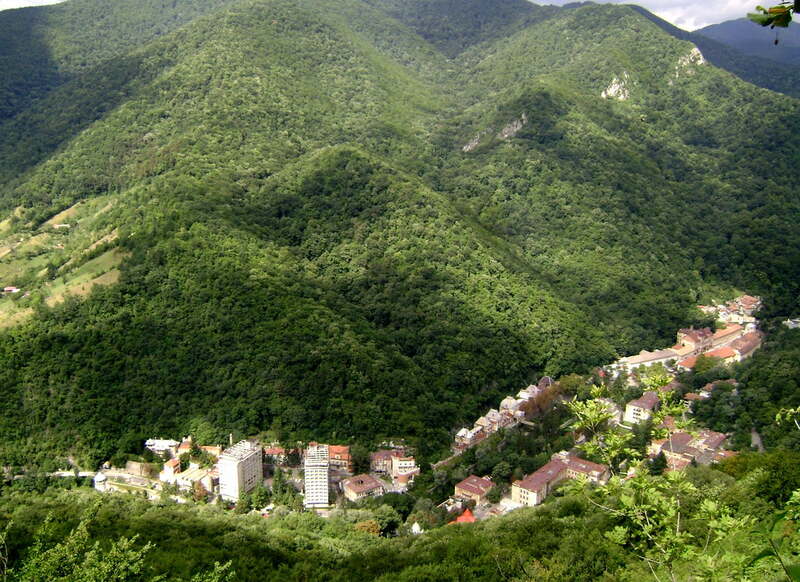 Also in this perimeter are the Steam Cave, Izvor Munk, Red Spring, Grotto of the Heights and Adam’s Cave. Hence a holiday in Herculane can also mean healing and relaxation. Even the less passionate nature will have to recognize that this part of the country is special.